The traditional music of Spain has a special set of sounds all its own, perhaps because of the native genius of the people and their exposure to Moorish influences long ago. Early on Scarlatti and Boccherini were the most notable composers to incorporate Spanish folk strains into their classical styles and no doubt there were others, though I am less aware of them. Enrique Granados and Joaquin Turina were prominent composers of the early modern era who did much to fuse old folk Spanish elements into a contemporary style. Yet there were others involved too, some not well-known to us, others known to all. Ruperto Chapi (1851-1909) is one not very familiar to a non-specialist. 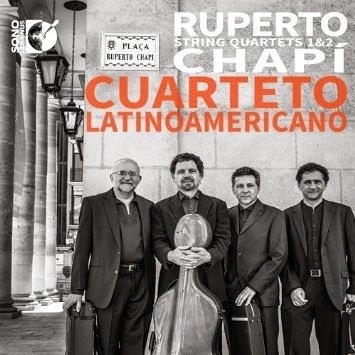 I had not previously encountered his music prior to the release of his String Quartets 1 & 2 (Sono Luminus 92185) as performed by Cuarteto Latinoamericano. I've been listening closely to it and I must say it is a revelation. His quartets show more affinity to the brio Boccherini than to the romantic era within which music dwelt in that period. They are straightforwardly brilliant, compact and vividly conceived four-movement works that have a very Spanish inflection and engage with an elan which is quite unresistable. Thematically they breathe with spirit and elegance of form. The Cuarteto Latinoamericano gives us sparkling renditions of the quartets with a zest that leaves nothing to be desired. These are near-ideal performances one imagines being topped with some difficulty. Chapi was in his lifetime better known for his Zarzuela and lyric works. The turn to the quartets came rather late in his career. But no matter, since they are very much sufficient in themselves. Brilliant! I look forward to more from the Cuarteto Latinoamericano and further explorations of Chapi as I find further examples out there. This one is a stunner. I've said this before but the force of it continues to stay with me as I sample the classic music of our current era. That is, that we've entered a stage of stylistic pluralism. Just as abstract expressionism dominated the art world in the '50s, high serialism did so in the modern music world during that period. Other than the sheer eclecticism inherent in a world class museum or the mainstream repertoire performance circuits, the modern-postmodern scene has subjected us to a number of styles that includes high modernism, revival styles, minimal and new tonalities as well as noise-music, and avant new music which relates to avant jazz and improvisation. All of this exists simultaneously. There is no one arbiter of taste and dominance. 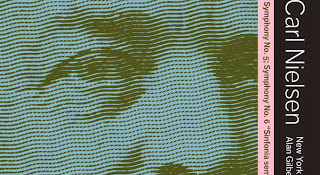 Though the art market and prices fetched in galleries and auctions do give us an indication of currency for the visual art market, contemporary music has less generative abilities in its mechanically reproduced and live incarnations so it's even harder to judge on any stylistic hegemony, but there appears to be no one style at the forefront now. This as I've said isn't such a bad thing. The building blocks of music remain the same, more or less, with melody, harmonic movement (tonal or otherwise), rhythm and timbre serving most composers of today. The question then is what does a new composer choose to do with these elements? 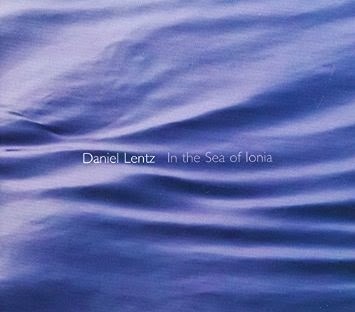 Ex-minimalist Daniel Lentz gives us his own take with a collection of solo piano pieces, In the Sea of Ionia (Cold Blue 0042), featuring Aron Kallay as the capable and sympathetic performer. It's music in a tonal vein, with rhythm entering into the picture as a significant factor, sometimes with a motoric regularity taken over from the minimalist days, sometimes rather romantically rubato but the chord sequences decidedly more contemporary than romantic. Four works/suites are featured: "51 Nocturnes," "Pacific Coast Highway," "Dorchester Tropes" in four movements, and "In the Sea of Ionia." There is enough inventive and varied in the program that the attention does not lag. These are perhaps not masterpieces of our age but they are legitimate and distinctive enough that you feel that Lentz continues to be his own man out there. A worthy stylist who may have a couple of masterpieces left in him, certainly. And in the meantime there isn't a banal passage to be heard, in spite of the tonal accessibility of it all. I find this album stimulating and enjoyable. Recommended. Once again, the happy happenstance of my visibility as a critic-reviewer has allowed me access to a new voice on the compositional scene that I would probably not have been exposed to otherwise. 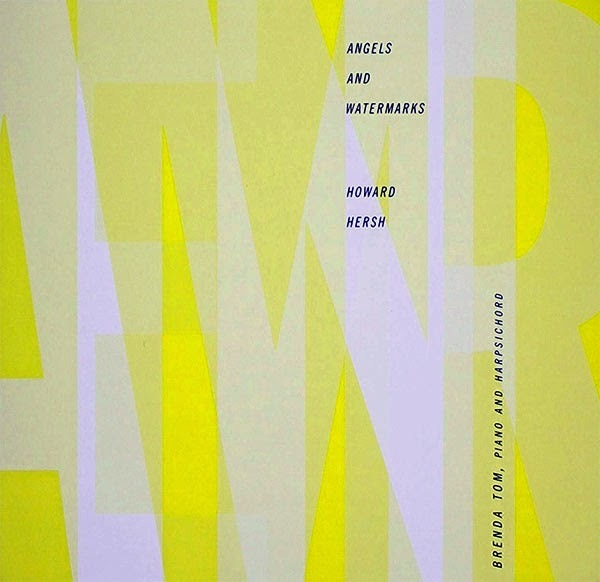 Today it is Howard Hersh and his music for piano and chamber orchestra and solo harpsichord, Angels and Watermarks (self-released). The keyboard soloist is Brenda Tom, who sounds quite excellent in the central role here. The "Concerto for Piano and Ten Instruments" in three movements opens the program. It has a post-romantic, post-modern piano part filled with motion and unexpected tonal twists and turns. The chamber orchestra parts surrounding the solo statements are well conceived and work together to create a very lively post-modern, post-minimal synchrony that features trading off of motival elements throughout. The piano part has real grit and the entire work has very memorable melodic dash. The performance is sturdy with Ms. Tom leading the way definitively and the chamber ensemble giving us a fine idea of the total sound at hand in the work. From there we go to two works for solo harpsichord, "Angels and Watermarks," a five movement suite, and "Dream," the ten minute closer. Both give us a more intimate side of the composer, music that sounds well on the harpsichord, music with neo-classic/vernacular contemporary flourish. The music is inventive and modern yet hearkens back to a time when the harpsichord was a central fixture of a musical world much as the piano was for the years of the salon and beyond. None of this music is cliche, all sounds fresh. Maestro Hersh adds a distinctive turn to all the music heard here. He is an original and without at all taxing the listener gives us something to follow with pleasure. I look forward to more from him! You can depend on Navona consistently to introduce new and lesser-known composers and their works. Today, an anthology of solo piano, Felt, Striking Works for Solo Piano (Navona 5987). Eight works by seven composers are here to explore. We get one a piece by Matthew Durrant, Rachel Lee Guthrie, Amir Zaheri, Richard Pressley, Byron Petty, Ron Nagorcka, plus two by Robert A. Baker. The performance duties are shared by Karolina Rojahn, J. Bradley Baker and Robert A. Baker. Musically we are placed in terrain that straddles an open modernism and an open post-modernism. There is much in the way of dramatic gesture and expressiveness. Beyond that there is an open sky within which anything is possible and everything potential. If you have a sense of adventure these well-executed performances of the ultra-new will capture your imagination. Lively music! Recommended. In the old LP days one might often be introduced to a composer because he (or she) occupied the obverse side of an album that you bought for what was on the other one. That happened to me once or twice with the composer William Bergsma (1921-1994), I believe a Turnabout and a CRI LP (which I still have around here someplace). The music impressed me to a point that I sought out other recordings of his music. Time moved on and at his passing in 1994 I was not aware of much coming out of his. Yet he left an impression that made me jump at the chance to hear a newly issued recording of his music, The Voice of the Coelacanth (Centaur 3371). It is an anthology of chamber works for small ensembles and solo piano, spanning a time period between 1943 and 1983. These are mature, modern works in a kind of neo-classical style somewhere between Stravinsky and Hindemith, that somewhere being Bergsma's own turf. Thematic memorability and drama are embedded in harmonically advanced terms. 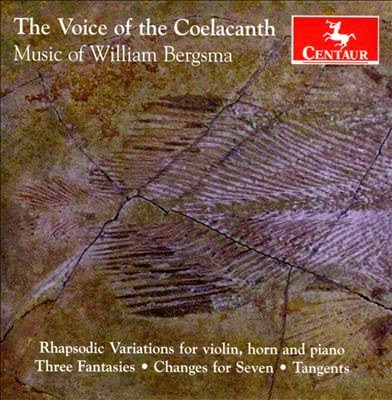 We get "The Voice of the Coelacanth" for violin, horn and piano (1981), which has a dramatic turn that makes especially good use of the power and dynamics of the horn. "Changes for Seven" (1971) for woodwind quintet, percussion and piano has a rather dreamy yet declamatory sort of gestural quality and again makes the horn stand out from the ensemble at points. Then there are two suites for solo piano, "Three Fantasies" (1943, rev. 1983), and "Tangents" (1951), both of which cover a lot of moods and modes in impressive ways. The performances are very decent, sometimes very, very decent. In the end you are exposed to a good batch of first-rate Bergsma, who indeed still deserves to be heard and comes through with plenty of excellent music to contemplate. Any student of 20th century American modernism would profit by getting to know this disk--and derive some genuine pleasure as well. Isaac Albeniz (1850-1909) was a prolific and important Spanish composer. His early years were devoted to writing in a salon style. By around 1885 he began to combine traditional Andalusian Spanish elements into a quasi-impressionist style, ultimately writing masterpieces for solo guitar such as "Granados" and the very beautiful piano suite "Iberia." He was a supreme melodist and an inspired craftsman. Outside of specialists most of us haven't heard but a fraction of his lesser-known works. Naxos in their ever-admirable goal of completeness have gotten up to a seventh volume (Piano Works 7 [Naxos 8.573160]) of solo piano pieces. Since I have not had as much experience with the lesser-known Albeniz I thought I'd check in with the latest volume. Does it stand up compositionally to the highest heights of Albeniz in this peak years? The answer is no, not quite. But then I would say, "but still..." because there is much to like on this disk. 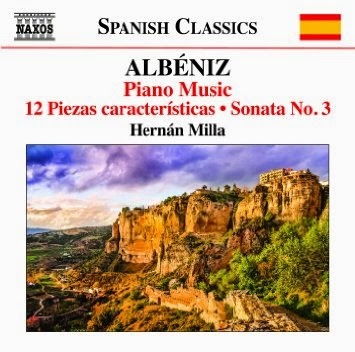 Pianist Hernan Milla does the honors as the pianist on this volume. And he plays with a sympathy and flair that seems just right for the music. Essentially the volume covers two substantial works, the suite of miniatures "12 Piezas caracteristicas, Op. 92" (1888) and the "Sonata No. 3, Op. 68" (1886). These are a product of the very beginning of his most inspired period, ending with his death in 1909. So we get a good variety of styles, some more in a salon or later romantic vein (the latter especially so on the "Sonata"), some with the first fruits of his Andalusian-influenced neo-impressionist style. The miniatures for all that are very much worth hearing. The music can be charming, enchanting, contentful or somewhat less so. There is nothing mediocre to be heard and ultimately much of it comes as a breath of fresh air. I would not quite say that this volume is indispensable. I am sure there are earlier volumes more in line with the best-of-the-best. Nonetheless he is never less than accomplished. And there are moments of true brilliance to be heard here. Anyone with a deep interest in the Spanish scene of the early modern period should probably have it all. "Iberia" is a must-have for anyone, but I have no doubt there are lesser-known treasures in the first six volumes as well. This one comes through like the first rays of spring sunshine. It is not yet a full-bloom Albeniz but very much a budding one. The listen is an excellent one. Carl Nielsen, New York Philharmonic, Alan Gilbert, Symphony No. 5, Symphony No. 6 "Sinfonia semplice"
Just this morning before I woke up I had one of those dreams that seemingly sets the tone for things to come. This past week, no doubt about it, was one of the very worst I have experienced. 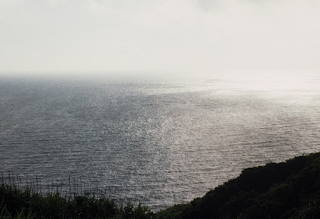 Illness, the death of one of my best friends, the impending worry of the wolf at the door. The dream went back to the time when I worked in the advertising department of Prentice Hall (now known as Pearson Publishing) which then as I guess now was one of the major publishing companies of higher education books. The then head of the department was a visionary creative soul, one Diane Kuppler-Weaver. She believed strongly in a creative approach to everything. But this dream was crazy even by her standards. We had made our money on the big books in the months before. Now it was time for "crazy month." The products we were assigned to promote were all off-the-wall, paper records, books made out of sandpaper, oddly folded books with elaborate papercuts...and somebody had taken my desk and replaced it with an old medieval banquet table, cut a hole in my wall and placed in the space a strange looking mask. We were given oddly painted strips of paper to promote, all kinds of crazy stuff, everybody was wearing costumes. It was all insane. Diane explained that the higher ups had realized that if we all worried about making money, instead of good ideas, that we and our entire economic system would collapse. So mad month was all about having fun doing what you loved, doing what you were good at, not worrying about the consequences but filled with faith that our creative abilities could remake our world from the nasty spirited, mean thing it was to a creative one where all did well by doing things well. I woke up and knew it was the right message for me today. And maybe for all of us. As it happens the last and best two symphonies by Carl Nielsen, No. 5 and No. 6, were up for the classical blog as a concluding volume in the definitive set by the New York Philharmonic under Alan Gilbert (DeCapo 6.220625). They happen to fit right in with the idea that you do best by being yourself, your best creative self. Carl Nielsen was in the end no leader of modern schools of composition. He most waywardly and perhaps even obstinately insisted on being himself, neither a screaming modernist nor an old-fashioned conservative, making music that was not supposed to be beautiful, but "characteristic," as he told a musician who was performing one of the symphonies in those first days after the player asked him, "Is this supposed to be beautiful?" Not beautiful. Characteristic. Paradoxically Nielsen's 5th and 6th are two of the most beautiful symphonies of the 20th century. But they redefined beautiful to fit Nielsen's vision of it. They are monuments in Nielsenism, titanic structure in motion, beautifully expressive but not sentimental in the Victorian drawing room sense of beauty, with hot house flowers, over-stuffed furniture and a ton of gimcracks and geegaws. Everything fits together beautifully. There is not an ounce of excess and the passages are all rather totally selfless in the most self-filled way. I've long cherished both symphonies. As for the Sixth, I have been happy with a number of versions over the years. For the Fifth an old LP by Jascha Horenstein and the New Philharmonia has long been the at the top of my list. Some of that was for the part of the symphony where the snare drummer was instructed to do his best to interrupt the orchestra with an all-out assault, something that appealed very much to my classically trained percussionist sympathies. The snare drummer for the New Philharmonia sounds like Gene Krupa gone mad, hitting rimshots and causing a real ruckus. The New York Philharmonic's snare drummer is much more in the rudimentary, let's just march the hell off of here mode. But in all other ways Gilbert and the New York Philharmonic carry the day, with carefully impassioned readings of both symphonies that are surely to my mind definitive. It is a moving disk, something a Nielsenite will cherish and a newcomer will get the best possible way into the works. This is by all means a triumph! Now I must find a middle ages banquet table and cut a hole in the wall. Nielsen is the 20th century model of a go-to-hell originality. Only he didn't go to hell. What better time than now to be reminded of what counts? Some composers from last century were so prolific that we are still trying to catch up with their output. That is most certainly true of Armenian-American Alan Hovhaness (1911-2000) who wrote 67 symphonies and countless other works. I had the good fortune to discover him early in my listening days, I believe it was 1966 or 1967, when I happened on a cutout of his music that had a strong influence on me and remains one of my favorites among his recordings. Hovhaness throughout his career has made use of his Armenian heritage but also of the music of the East and Asia as a whole in fashioning works that are tonal but more world-inspired than looking back to the classical tradition, though counterpoint and other classic devices are usually present. Gerard Schwarz and the Eastern Music Festival Orchestra have devoted themselves to a program of Hovhaness scores that have not been often heard. The centerpiece, his Symphony No. 48 'Vision of Andromeda' (1982) (Naxos 8.559755) enjoys its world premiere recording here, and there are two other works that are nice to hear, the early "Prelude and Quadruple Fugue" (1936, rev. 1954) and the "Concerto for Soprano Saxophone and Strings" (1980). "Symphony No. 48" has an Eastern sort of mystical quality that is not untypical of the composer. There is an Eastern minor-mode tonality that has some affinities with Eastern Orthodox Chant as well as lots of orchestral color and contrast. It is well-crafted, inspired and performed with the spirit and verve one might expect from Gerard Schwarz. The "Prelude and Quadruple Fugue" has all the earmarkings of typical Hovhaness, yet the early provenance of the short work shows a perhaps more thoroughly neo-classical stance than the typical mature Hovhaness. It is fascinating and well-wrought. 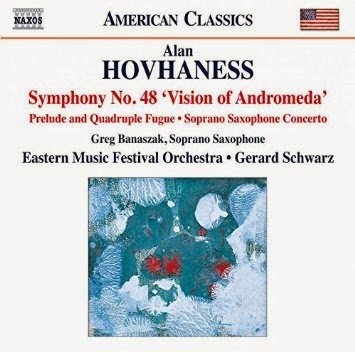 The "Concerto for Soprano Saxophone and Strings" holds great interest for the Hovhaness acolyte. It too is filled with Eastern qualities. The solo part is played well by Greg Banaszak. As with many classical sax players he retains a strongly present vibrato that takes a bit of getting used to. Once one does there is much music to appreciate. This would not be my first choice if I were to choose a handful of indispensable recordings, but at the Naxos price it is well worth having, even if you have not been previously exposed to the composer. Schwarz and the Eastern Musical Festival Orchestra give us their all and the music is of a uniformly high quality. I for one am glad to add it to my Hovhaness collection. Buy it with no qualms. It is well-done. When I was young there were thousands of jobs in my area for delivery truck drivers--not just the post office, but the milk man, the bread guy, the cleaners, even somebody peddling fruit. Not many families had two cars then and the housewives depended on deliveries. Our mailman was the most regular and the most important one, at least to me. He seemed to be a happy soul. He was ALWAYS whistling. And being a musically inclined kid I used to listen to WHAT he whistled. It was never a song that I recognized. Instead they were seemingly open-ended, non-periodic diatonic melodies. He might linger on a phrase a few times, then move on. I don't hear much whistling anymore; but never again did I hear quite this kind of whistling and it stayed in my mind. The music of Michael Vincent Waller at times reminds me of our mailman from back then. I am speaking of his new two-CD set of chamber works, The South Shore (XI Records XI136). (Look for Michael in the search box above for reviews of two piano disks that preceded this album.) Michael has at times tapped into the folk diatonic mind (and sometimes pentatonic as well). Like that mailman, only of course considerably more sophisticatedly, he ignores the obvious periodicities (aaba, etc.) of song form to build sprawling diatonic (or pentatonic) melodic sequences. They may have repeated and related variation sequences that in some ways do what 12-tone composers used to do with chromaticism, that is to build towers of melodic sounds that become variations on variations. Not to say that Michael is subjecting his melodies to some rigorous rules of sequence, for it feels more intuitive and in that way a reflection on the folk mind (of my mailman, but more phenomenologically of the universal folk mind in everyday life). This perhaps is a rather gross simplification of his approach. There are also times where there is more rapid passagework that suggests the east, perhaps a little redolent of gamelan passagework. And there is more besides. He is not in the "Radical Tonality" school of some of the Cold Blue label composers, because they use diatonicism as ritually ambient presences and Michael does that not so much. He is another kind of tonal simplissimo structuralist. So we get 21 mostly brief compositions and suites for all manner of small chamber gatherings. We get music for solo clarinet; clarinet and percussion (gongs); solo flute; viola and piano; solo cello; solo piano; solo violin; a larger ensemble of flute, piano, violin, viola and cello; one for flute, alto sax, electric guitar, viola, cello and trombone; solo organ; cello and organ; piano, violin and cello; violin and cello; violin, viola and cello; and string quartet. Throughout all these instrumental configurations we get a kind of singing (or whistling) forth, a whisp of natural expression sometimes reminiscent of Asian classical and its heightened melodic spatiality in silence. It is music that engages somewhat disarmingly. But then you go back and there's more to it on further listens. I don't know what the world will make of this music but I find it, like some Satie, deceptively simple with a sort of underlying folk-mind sense to it. Listen and decide for yourself. It is worth your time! Johann Sebastian Bach's Goldberg Variations, originally meant for solo harpsichord, is surely one of the sublime moments of the baroque era, a set of variations that never ceases to yield up precious riches on every hearing. Dmitry Sitkovetsky's arrangement for string orchestra gives us a version that opens up the shifting moods and the contrapuntal genius of the set in ways that bring the music to us in even more depth. 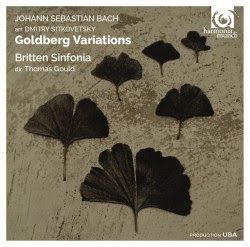 The Britten Sinfonia under Thomas Gould has recently recorded a cornerstone rendition of the arrangement (Harmonia Mundi 807633). What's remarkable about the Sitkovetsky scoring and the Britten Sinfonia's performance is the vast timbral resources of the string orchestra and how it is put to use. The contrapuntal lines are all there to be heard as Bach worked them out with his architectonic genius. But the instrumentation changes for every variation, in both combinations of players and string articulation. Gould and the Sinfonia give us the detailed reading and heartfelt brio that is exhilaratingly true to the arrangement in the best ways. The tempos seem totally right for each variation and the three-dimensional qualities of the string sonance come at you stunningly in this beautiful sounding recording. An arrangement like this demands a very sensitive collective instrument to succeed fully. Gould and the Sinfonia give us that. They come through with stirring realizations that put your ears in overdrive throughout. I cannot imagine a better performance and the string arrangement is wonderfully definitive. This is music that puts you in a super-human world and keeps you there throughout the duration. Given the present-day, anything goes stylistic polycentrism that contemporary new music enjoys, we should expect any number of possibilities. 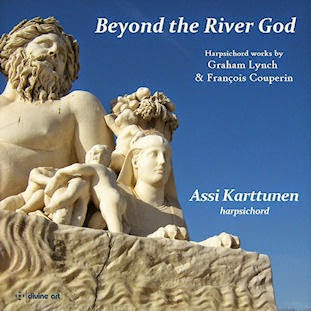 So the dualistic program of harpsichordist Assi Karttunen on her Beyond the River God, Harpsichord Works by Graham Lynch & Francois Couperin (Divine Art 25120) should not surprise us. Yet a recital that alternates between French baroque master Couperin and rising modern composer Lynch is nonetheless an unusual one. What it does in part is give us the chance to gauge any similarities and of course differences between the musical personalities, the eras represented and to bring us potentially contrasting sounds for the harpsichord. Ms. Karttunen does a fine job with both series of works. The handful of Couperin pieces are generally well-known and she plays them with baroque grace. And she does complete justice to the Graham Lynch works as well, which are modern yet at times thoroughly neo-classical. Relatively young (b. 1957), London-born Lynch gives us music that seems specially suited to harpsichord sonorities. In all we get six Lynch works/suites, the five-part title work, "Admiring Yoro Waterfall," the four-part "Petenera," "Ay!," the three-movement "Present-Past-Future-Present," and the brief concluding "Secret Prelude." All make use to greater and lesser extent of an early classical veneer that at time runs deeper, but all in all there is a fantasie-like impromptu feel to the music, which strays pretty far at times from baroque thematic and harmonic orthodoxy, which is to be expected and even desired. Other times both musics share an expressive oneness that you may feel goes beyond the details of each composition, and sometimes Lynch makes a point of reaching back, only to go forward again. At least that was my reaction. There is much worthwhile music to become familiar with. The regular recurrence of a Couperin classic grounds us with the accustomed while the Lynch explores various possibilities of what lies beyond it. In the end we get a good deal of music that underscores what expressive means the baroque and the modern/postmodern share and how the harpsichord and specifically Ms. Karttunen act as the pivoting center to all the music. It is certainly a feather in the cap for Assi Karttunen and for Graham Lynch. At the same time it is music on a high level. If you like me grew up with old movies as part of TV fare, you at one point realized that much of the old scores featured a warmed-over romanticism that did its job but was not necessarily compositionally self-sufficient. All that of course changed in time so that nowadays soundtracks can be that as well as quite functionally effective. Many stand up to musical scrutiny. The idea that a good or great composer may also write soundtracks is now quite understandable, though of course the older days had its share. 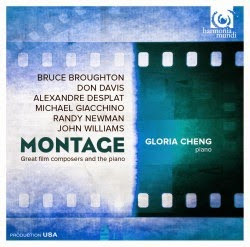 And as if to underscore that point pianist Gloria Cheng has looked at it all in reverse, that is, she selected from a few acclaimed soundtrack composers some works written expressly for solo piano. On Montage (Harmonia Mundi 907635) we have a chance to hear six acclaimed soundtrack composers bring all their "serious" composing skills to bear on six solo piano works/suites. They show us original and eclectic music that draws upon neo-romantic, neo-classical, neo-impressionist, song-form and modern tendencies to create recent works both absorbing and convincing, played with sensitivity and dash by Gloria Cheng. All of the works presented here enjoy their premiere recordings. So we have Bruce Broughton and his "Five Pieces for Piano" (2010), Michael Giacchino and his "Composition 430" (2013), Don Davis and "Surface Tension" (2013), Alexandre Desplat and "The Embrace," from his "Three Etudes" (2012), John Williams and his four-part "Conversations" (2012-13), and Randy Newman's five-part "Family Album" (2013). These are works Ms. Cheng either commissioned herself or were presented to her by the composer involved. They all have very much something to them; they are serious and contentful. It is a pleasure to hear the program and you'll probably find yourself returning frequently to the music. It most certainly is a pleasant surprise! 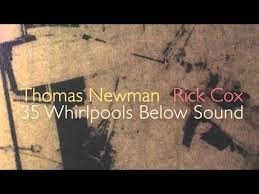 Rick is on prepared guitar, Xaphoon, cello and voice; Thomas plays a toy accordion, violin, piano and phase metals; Jeff Elmassian plays clarinet, and there are also field recordings of wind, leaves, water and cars. All of these elements (and others, to my ears) combine in various stages of transformation for 19 very evocative soundscapes (utilizing 35 "whirlpools"). Many have a natural sort of ambiance, some less so, but altogether there is a sequence of sound events that makes very effective use of musical tone and noise to create vivid sound poetry. There's nothing truly jarring in this series of whirlpools, so it invites you to drift along with its ever-varying architectonics and sound washes. I found it fascinating and very worthwhile. You traverse diverse landscapes willingly and with satisfaction, and perhaps you attentively dream of other worlds as you listen. In the ever-permutating stylistic world of modern classical we have music to consider on today's blog post built of neo-classical and neo-romantic elements. The composer is Lee Actor (b. 1952) and his Piano Concerto (Navona 5986) (2012) is the featured work alongside his "Divertimento" (2011) and his "Symphony No. 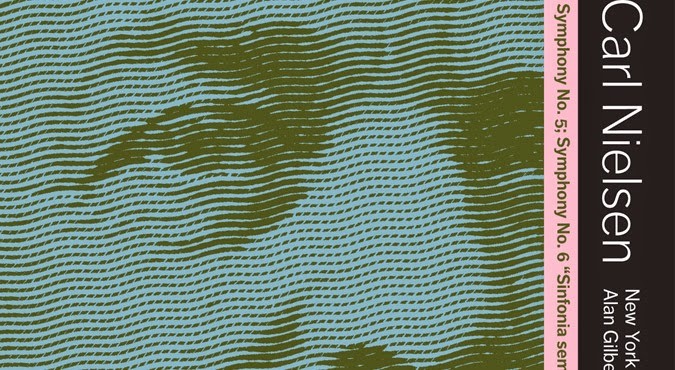 3" (2013). The Slovak National Symphony Orchestra under Kirk Trevor does the honors fittingly, with Daniel Glover in the piano role for the "Concerto." All comes across well. Actor is a polymath personality, practicing in his career as software engineer as well as a concert artist/composer. Perhaps this explains his deft manipulation of structural elements in his music. At any rate all three works bring traditional elements to bear in ways that both hearken back and look forward. You can hear both rhythmic and developmental elements especially vividly at work in the "Divertimento" and the final movement of the "Concerto," but it is continually a factor. Here is the sort of music that grows inside of you with repeated listens. That of course may be true of most classical music but in Actor's case it is especially true. On the first hearing of the program, style hit me foremost. Then on subsequent listens the internal workings within style became more and more apparent and memorable. "Symphony No. 3" is a good example. There is late romantic seriousness of purpose in the opening movement "Premonition," but it comes at you more and more impressively as you hear the movement a number of times. Perhaps, yes, there is something that reminds you of Schumann, Brahms, Wagner, Bruckner in its monumental moroseness. 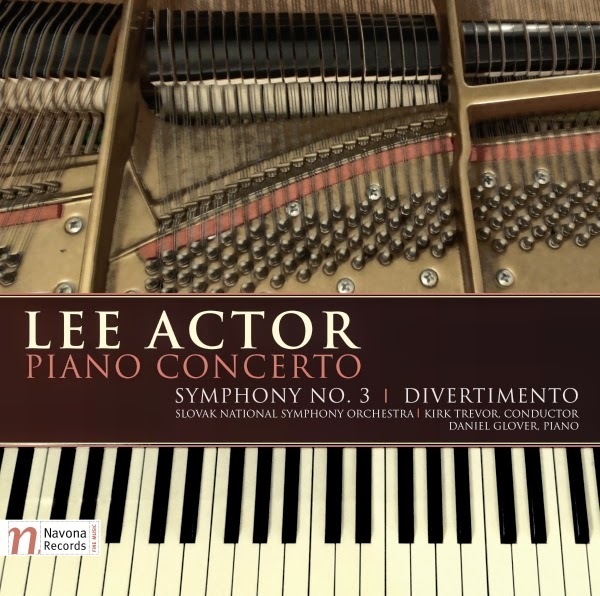 Yet as you listen again the articulation of the orchestral blocks of sound become more and more Lee Actor and less derivative in the way it all hangs together beautifully. The inner movements break the spell with a great headlong plunge into rhythmically rapid string figuration and grand punctuations from brass and woodwinds ("Scherzo I"). In contrast "Reflections" begins in a lyrically dark-somber mood, then goes on to a rather chromatic music of contemplation with dynamic outbursts that remind you we are in a post- and neo- world. "Scherzo II" brings us back to fleeting motion, the entire orchestra taking part in the moving panorama of tone with deftly orchestrated passages. 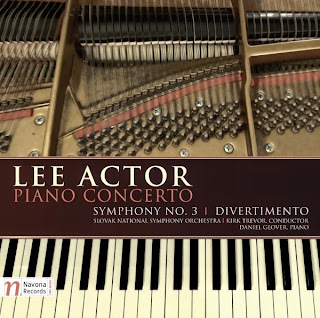 The "Finale" returns to an ominous darkness that creeps forward with insistency and shows off the coloration-orchestrational acuity of the composer with distinctive writing for winds, brass and strings in various combinations. Somewhere in midpoint there are darkly dramatic outbursts that gradually build momentum into agitated climaxes of tangible power and clout. The cloudiness of the opening movement returns before a great hurrah ends it all. So there you have it. Actor comes through with three distinctive works that give us a vivid picture of his latest orchestral music. This is not music on the edge of avant futurism so much as a new synthesis of classical-to-modern orchestral practices, resulting in an idiomatically personal approach that shows thematic and orchestrational prowess. It is music that one welcomes more heartily back into one's music hearth the more one returns to it. If you like new music that delves into the past transformatively, this will give you plenty to savor! Later incarnations of minimalism can tend to relax the strictures of continual ostinatos and nothing but. 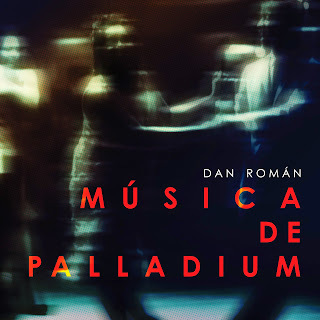 Puerto Rican composer Dan Roman combines repetition with through-composed elements and development very intriguingly on his album of chamber music, Musica de Palladium (Innova 904). On the disk are five thoroughgoingly unformulaic, bright and attractive, finely crafted works of originality. Each features a typical small chamber instrumentation and each has an eclecticism that transcends the expected to keep you fascinated. The title work "Musica de Palladium" uses violin, viola, cello, and piano, "La Machina Line" alto saxaphone and viola, "Retrospecto" cello and piano, "Fabulas" violin and piano, and "Passing Puntos" violin, cello and piano. All of the works have rhythmic vitality, some reflecting Roman's Puerto Rican roots but also what you might call neo-classical elements and modernist touches. What's especially compelling to me about the music is how each element is thoroughly integrated into the whole so that there is a seamlessness. The music develops and unfolds inventively, bypassing the trance-like mesmerization of classic minimalism, often enough using the ostinatos as a classical element, only perhaps they have a greater importance here than in pre-minimalism but also that they continually shift to fit the arc of melodic thematics that he constructs so convincingly. The performances are first-rate. They bring us the liveliness of expression with contemporary brio and zest. This is music that should appeal to many for its mostly tonal lyricism. At the same time there is substance to all the works to exercise the ears of those careful listeners who seek more than congenial sounds. Dan Roman has talent. You should give this one a careful listen if you want to hear where minimalism or post-minimalism is going these days. Modernism lives. It may not be the only game in town these days but it continues to evolve and consolidate in various ways, with various composers vibrantly active and good works coming to our attention every month. 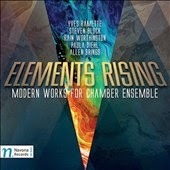 We get interesting examples of new music in the chamber mode today on the recent anthology Elements Rising, Modern Works for Chamber Ensemble (Navona 5990). On it we hear six varied works by five composers who may not be familiar to you unless you are thoroughly immersed in Navona releases. Each has something to offer and does so with lively performances. All have in common a post-Darmstadtian modernism in gesture and a wider tonal palette for the most part. Yves Ramette starts off the program with "Introduction et Allegro" for flute, oboe, Bb clarinet, bassoon and piano. It is a worthy example of small chamber ensemble writing today, very sonorically stimulating and gesturally dynamic. From there we go on to Steven Block's "Fire Tiger" for violin and piano, Rain Worthington's "Night Stream" for two violins, and "Rhythm Modes" for string quartet, all very worth hearing. Paula Diehl's "Gambit" as played by the Moravian Philharmonic Chamber Players under Petr Vronsky has the largest and most sonorically distinct aura in part because of the forces involved. It stands out for that reason and gives the ear a refreshing change. At the same time it has an ambience and sound color that set it apart regardless of its juxtaposition. Allen Brings closes off the program with his "Duo for Violin and Cello," a study in shifting thematic elements with rhythmic insistency, a memorable conclusion to an excellent disk. In the end we get a judicious assortment of extremely well-crafted works that show in each case the hand of an original voice, each rooted in the modernist heritage yet tackling the varied instrumentation with a skilled sense of what will sound well with the instruments at hand. We get folk elements now and then and rhythmic approaches that range from a jagged event-sounding approach to a more symmetrical regularity. 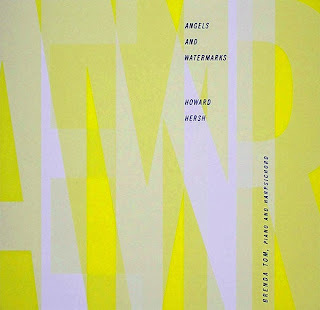 A timbral openness and refreshing approach to form applies in various ways to all the compositions included in the set. It is music with complexities that must be digested over time. With a little ear work you are rewarded with six windows that open each to its own universe of sound and structure. In the end the experience is filled with much to appreciate and ponder. Minimalist repetition (or what Gertrude Stein called "insistence") was hardly a new thing in essence when works started appearing under that rubric. African and Balinese music, for example, had made it a part of the music for many centuries, blues and rock had it as an important part of the music, and of course one might look elsewhere as well. But for a combination of insistence and a more or less classical framework, Satie may have been the principal progenitor but it was something new nonetheless. By now there have been a good number of works to experience, some better, some less better, but by all means Simeon ten Holt (1923-2012) can be considered one of the major exponents. I say that after I have listened in depth to the 4-CD performance of Canto Ostinato XXL by Jeroen Van Veen and company (see my November 17, 2014 review) and now Incantatie IV (Brilliant 24918, 2CDs) for three pianos, performed by Jeroen and Sandra van Veen and Tamara Rumiantsev. Like the Canto Ostinato XXL it contains choice on the part of performers as to what to include and what to leave out, along with choices in timbre and pitch, style and tempo, instrumentation and length of repetitions. Van Veen and company choose a moderately fast tempo and put the music in a minor mode. The score has complexities in its 15 layers. The three pianists negotiate them deftly, coming up with material from the score that would sound well even if not repeated, in a way that in the end is very pianistic. And perhaps that is one of the keys to what makes Simeon ten Holt so intriguing, that the compositional materials are composed of thematic elements that hold interest both in their repetition and in their transformation. Not all minimalist exponents are melodists of this caliber. Riley and Reich, surely, but some others less so. 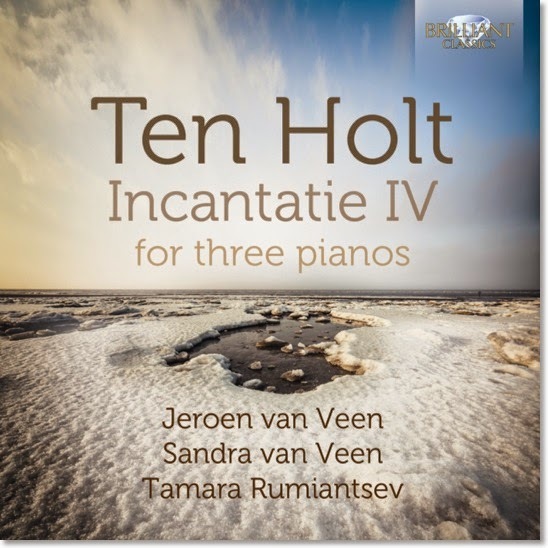 And even then Simeon ten Holt's transformation options are sequentially dramatic but interrelated in fine ways, perhaps more classical ways than with some composers. That and the van Veen ensemble's very skilful and music interpretations make this music come alive beautifully. In the end Canto Ostinato XXL may have a slight edge in my mind over Incantatie IV, but one should ideally revel in both. Ten Holt is up there with the very finest minimalists; Van Veen's ensemble is the one to give the music its just due. The music both sings and swings admirably. Fabulous!